Episode 37! Luci Wilson and Tiffany Apple of Robot Johnson stop by the New Geek Gala HQ, and Luci reads our second place winner from the 2015 Monster Mash Flash Fiction Contest! Luci Wilson and Tiffany Apple are 2 of the lovely ladies of comedy at Robot Johnson, Charlotte’s premier sketch comedy group. 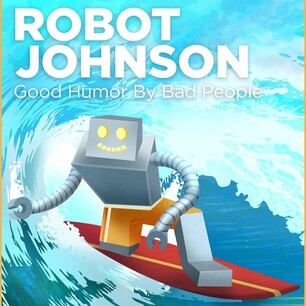 We are so excited about having Robot Johnson appear at this year’s Geek Gala! When they aren’t working on their comedy sketches, both Luci and Tiffany are working on the upcoming TV series Outcast based on the Robert Kirkman comics. You may know him from The Walking Dead series. Of course, all that is sooper sekrit, so we couldn’t talk to much about that other than you should definitely watch it. Something else you should definitely watch is the short film they recently shot (and we DID talk about) – which can be seen here over at the Murder of Fools Facebook page. Oh, speaking of Robot Johnson and Facebook pages – here’s the link to theirs! And congratulations to James McDonald for winning 2nd place for our storywriting contest! Thanks to Luci for reading his sensually horrific story Fine Dining! A reprint of the story itself will be posted on The Charlotte Geeks website later this week! ← Episode 35: Ashley of Mythgard!